Attorney Levinson’s expertise is reflected in a lifetime legal career of criminal defense work and family law. In 1984, she joined the Criminal Defense Division of the Legal Aid Society of the City of New York in the Bronx, representing indigent clients. Her work took her from arraignments through appeal in state courts. After three years, Ms. Levinson was named an assistant federal defender in the Eastern District of New York. There, she represented federal criminal defendants from all over the world. 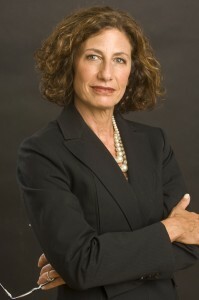 She relocated from New York to the Berkshires of Western Massachusetts in 1993 and joined the criminal law department of a regional law firm. She formed her own practice in 2008. In New York and Massachusetts, Ms. Levinson serves as defense counsel in state and federal trial courts and in the appellate courts. She defends clients facing misdemeanor crimes, DUI, drug charges and homicides, as well as white collar and corruption cases. She is experienced in cases involving mental illness or incapacity. She works with both adults and juveniles. In the realm of divorce and family law, Ms. Levinson brings passionate advocacy to clients facing divorce, custody issues and child support issues. She represents clients in child abuse and neglect matters as well. Each year, Attorney Levinson spends a week at her law school alma mater, Cardozo School of Law in New York, as a faculty member. She teaches in the yearly Intensive Trial Advocacy Program for second- and third-year law students, which is run by her law school professor and mentor, Barry Scheck, of the renowned Innocence Project. Won acquittal in a murder case involving an insanity defense for client accused of killing his wife. Acquittal for a police chief charged with 10 counts of money laundering, wire and mail fraud; conviction on one count of extortion. Won acquittal in United States v. Botta, U.S. District Court, District of Massachusetts, one of the few federal ext0rtion trials to end with complete exoneration.